Meeting great interest of Los Angeles locals, Southern California Alumni Association of The University of Tokyo arranged a meet-up for high school students and their parents who are interested in PEAK program of The University of Tokyo. PEAK, Program in English at Komaba, is an undergraduate college program mainly for international students whose pre-college education is not in Japanese. 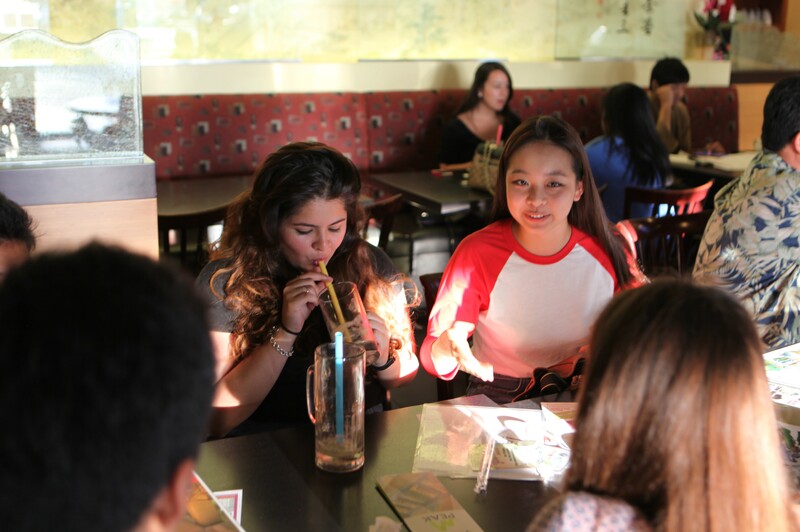 Professor Itatsu and two second-year PEAK students who are in our “Hands-on” activity met future applicants at a local tea house in Gardena. It was a very rare and precious opportunity for high school students to talk with current PEAK students directly because the PEAK program is two years old. Thank you very much for your sparing time, Sherry, Manasa, and professor Itatsu, and for your great arrangement, Mr. Higuchi!